Better Homes & Gardens, 9780470540275, 224pp. Whether you're planning your first garden or want to try something new without all the trial and error, Beds and Borders provides easy, step-by-step, illustrated plans for more than ninety garden projects. Each project comes complete with an inspirational color photo and an overhead-plan-view planting plan with a planting grid to show correct spacing and plant size. A plant list accompanies each project and doubles as a shopping list, making it simple and easy to gather all your supplies and plants in one quick trip to your local garden supply store. Provides informative tips and hints, including descriptions of the best plants for specific circumstances, regional notes for ways to adapt gardens for various regions across the country, and frugal gardening suggestions. 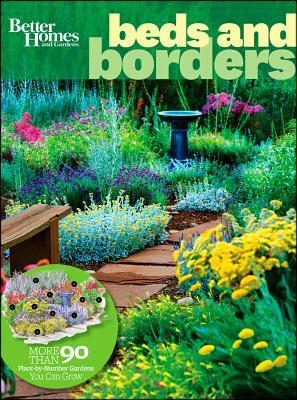 For first-timers and green thumbs alike, Beds and Borders offers something for every gardener.